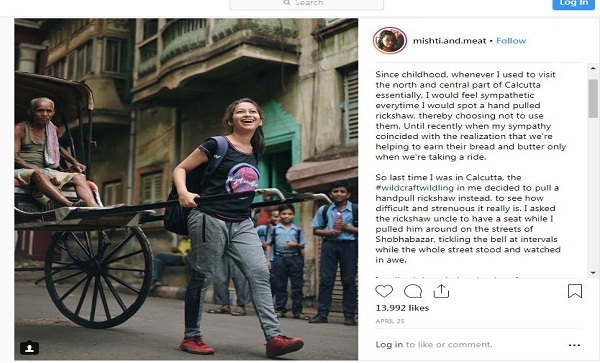 A dramatic photograph of a young girl pulling Kolkata’s iconic hand-pulled rickshaw as its old rickshaw puller takes a backseat (literally), is being shared online as an IAS topper introducing her father to the world. Indian National Congress’s (INC) J Aslam Basha tweeted the photo. His tweet got over 2,600 Likes. It was also retweeted by Congress leader and Thiruvananthapuram MP, Shashi Tharoor. The photograph was taken by Instagram user Shramona Poddar and posted in April this year. 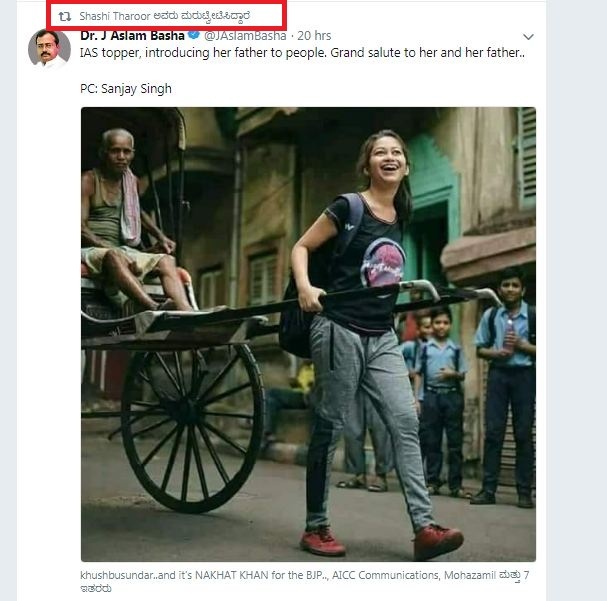 The description of the photograph is clear that the rickshaw puller is not related to the girl. 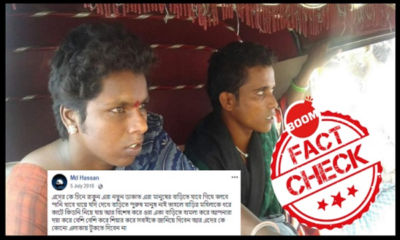 Her post explains her gradual shift in perception towards rickshaw pullers – from sympathy to appreciation of the sheer physicality and precision required to operate a hand-pulled rickshaw. The post has received close to 14,000 Likes. BOOM reached out to Poddar who confirmed that she is a travel blogger and not an IAS topper. 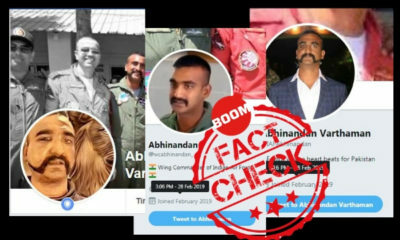 “It (the photo) was taken a few months ago and it went viral at that time too but not something bizarre like this,” travel blogger Shramona Poddar told BOOM. Poddar also explained that while the photo was shot by a photographer it is not part of an ad campaign.